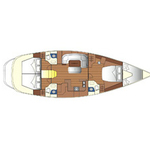 In 2005 has been manufactured boat Sun Odyssey 52.2 named BLU MAN. This sailboat is based in base Castiglioncello in the surrounding area of Elba And Tuscany in Italy. You can board up to 7 crew members on the sailboat BLU MAN. Scheme of beds is 7 (6+1) MAX 8 PAX. 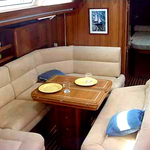 There are 3 cabins situated under sailboat's deck. BLU MAN has 3 toilettes. Use our website to find more vessels by going to the section Yacht charter Elba And Tuscany. Fuel tank is 400.00 l gasolio liters capacious , water container has up to 860.00 l tre serbatoi liters. In this vessel is applied motor Yammar 100 HP linea asse con elica tre pale fissa. 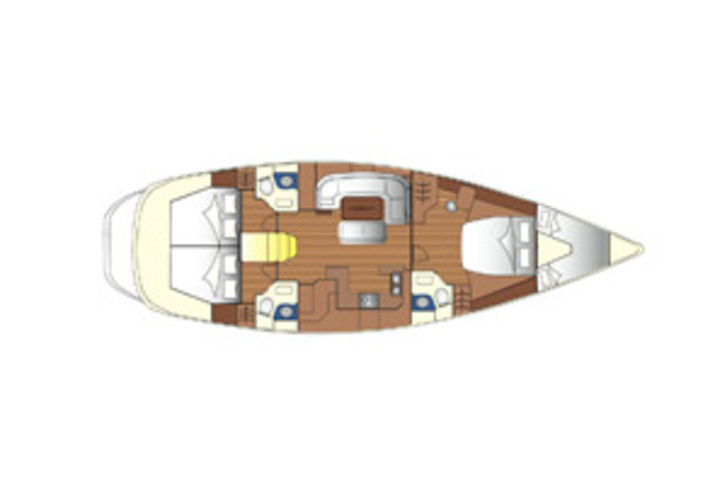 With 14.99 meters of lenght overall and 4.85 meters of width BLU MAN offers enough space for comfortable sailing. Caution there is 3500.00 EUR. Use the search engine for search for other yachts right here: Yacht charter Castiglioncello.